I know I say it almost every month, but I feel like each month really does fly by so fast and of course, October has been no exception. 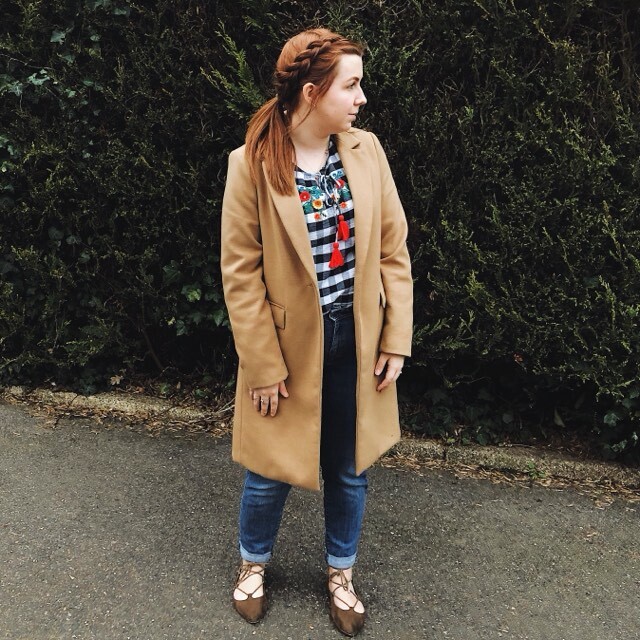 I’ve been a bit quiet here on the blog lately which has mainly just been due to being really busy, feeling a tad uninspired at times but also we’ve had our fair share of Autumn germs too, which has thrown me off balance a little. I have lots of fab things to share over the next few weeks so hopefully I’ll get back into the swing of things in November. October has been a wonderful month for us and we’ve made so many lovely memories that I’m actually feeling a little sad that it’s over so soon. We’ve been to two firework displays, enjoyed a few Autumnal walks which are always my absolute favourite as everywhere just looks so gorgeous at the moment! 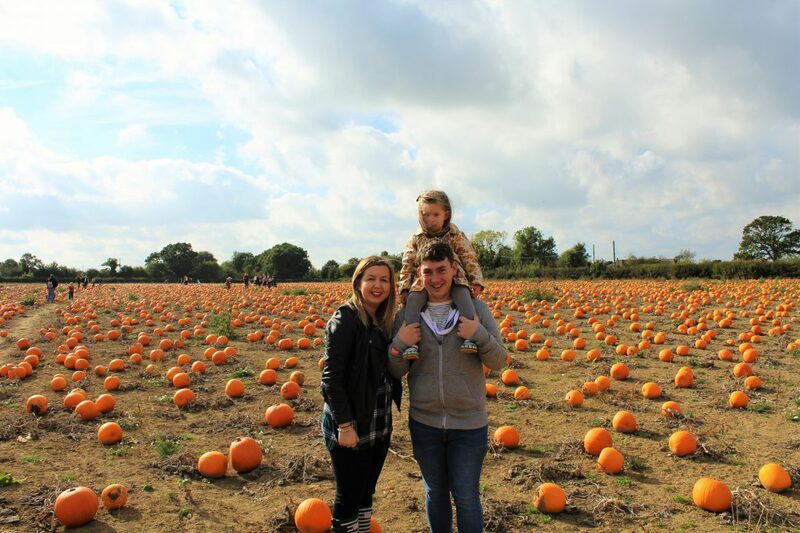 We also took our annual trip to the pumpkin patch and we even carved our pumpkins for the first time ever rather than leaving them to just rot on the side 😉 We then finished off October by having the lovely Alice and Amelia to stay for the weekend and also by celebrating our gorgeous nieces first birthday with a day at the farm yesterday. I’m bracing myself slightly for the month ahead, it’s always such a busy one for us as both Bella and I have November birthdays and of course the build up to Christmas really begins too! We’re having a little fireworks party next weekend to celebrate Bella’s third birthday but I’m not entirely sure what we’ll be doing for mine just yet. Although as long as there’s cake involved at some point, I’ll be a happy lady 🙂 We’re also off to Center Parcs at the end of the month so it’s definitely going to be pretty jam packed but I can’t wait! This months Me & Mine photos were of course taken at the Pumpkin Patch, I know I knoooow, not very original but it’s much easier when you have someone else to hand that can snap a photo for you instead of faffing with the tripod. Of course in typical toddler fashion, Bella looks super unimpressed in both of these photos but I promise she was enjoying herself really! I hope you’ve all had a lovely October too! Beautiful october family picture!! I am excited it’s november now though- I love the xmas build up! Beautiful photos 🙂 I love slow sundays too and they are always needed! 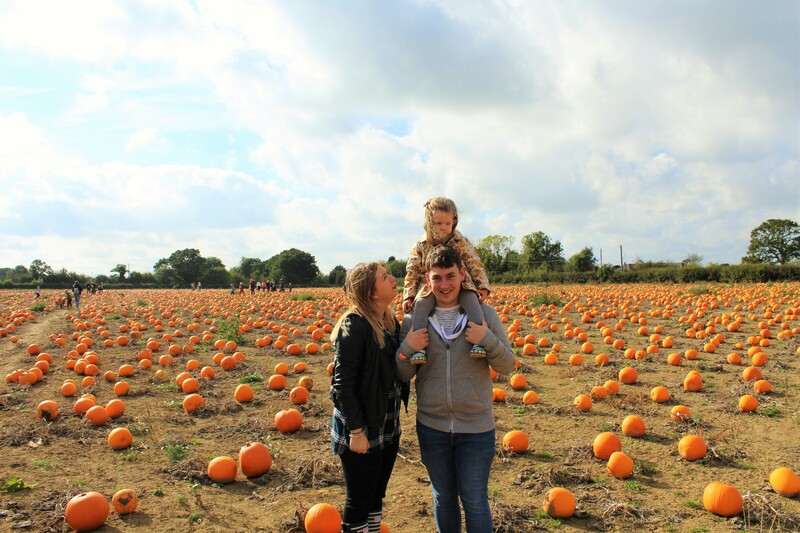 I love a pumpkin patch photo, although I’ve still never been to one!